We’ve known about it for weeks (despite Netscape’s claims that our post was innacurate), but now it’s confirmed: AOL has announced the end of Netscape as a social news portal. We received some feedback that people really do associate the Netscape brand with providing mainstream news that is editorially controlled. 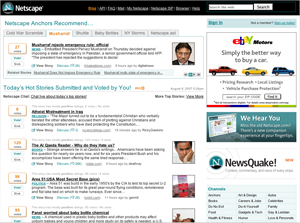 In fact, we specifically heard that our users do have a desire for a social news experience, but simply didn’t expect to find it on Netscape .com. 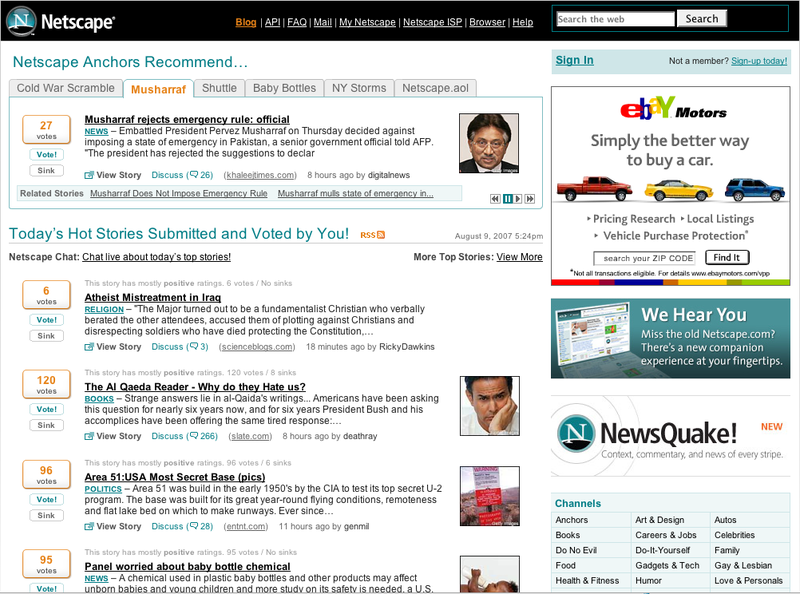 The new (old) Netscape home page is not live quite yet, but can be viewed at netscape.aol.com. All traffic to Netscape.com will shortly be redirected to this site.